International banks fuelling a hydropower tsunami in the Balkans. Sign petition to stop them. 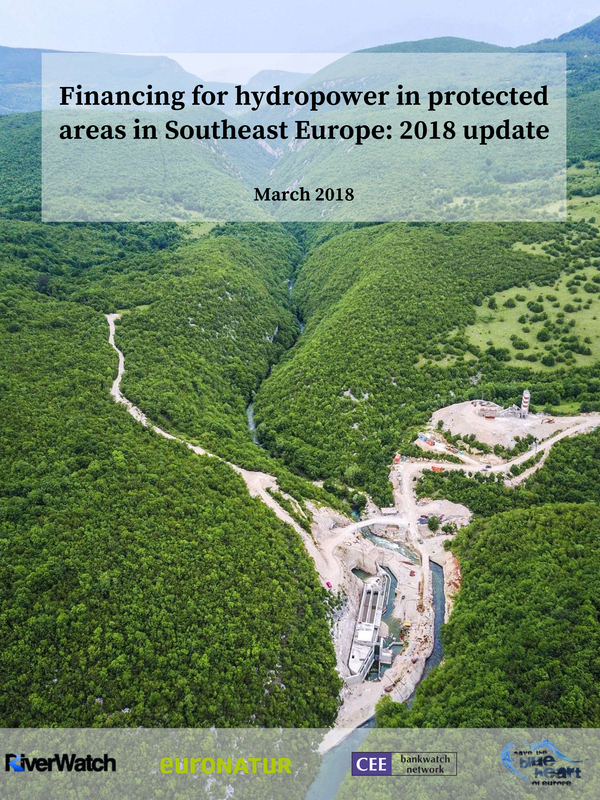 The EBRD is the biggest known hydropower financier in the Balkans. The bank has supported a total of 61 plants with EUR 126 million, 29 of them inside protected areas, or internationally recognised biodiversity hotspots. Commercial bank financing is harder to track due to the lack of transparency in the sector, but the study authors have identified 158 plants with such financing, of which 55 are in protected areas or internationally recognised areas of high biodiversity value. About 2800 new dams are currently projected between Slovenia and Albania. In order to counteract this spate of destruction, ‘EuroNatur’ and ‘RiverWatch’ have launched the “Save the Blue Heart of Europe” campaign in cooperation with local partners in the respective Balkan countries. These dams and river-draining diversions will destroy Albania’s Vjosa—the largest and last untamed river in Europe, send the already threatened Danube Salmon to extinction in Bosnia, jeopardize the survival of the critically endangered Balkan Lynx in Macedonia, displace culturally significant communities, and destroy freshwater resources throughout the region.The world needs healthy rivers and lower impact energy options exist beyond hydropower. SIGN PETITION Tell the European Bank for Reconstruction and Development (EBRD), European Investment Bank (EIB), and the World Bank’s International Finance Corporation (IFC) they must halt their Balkan hydropower investments before the last wild rivers in Europe are irreversibly destroyed.